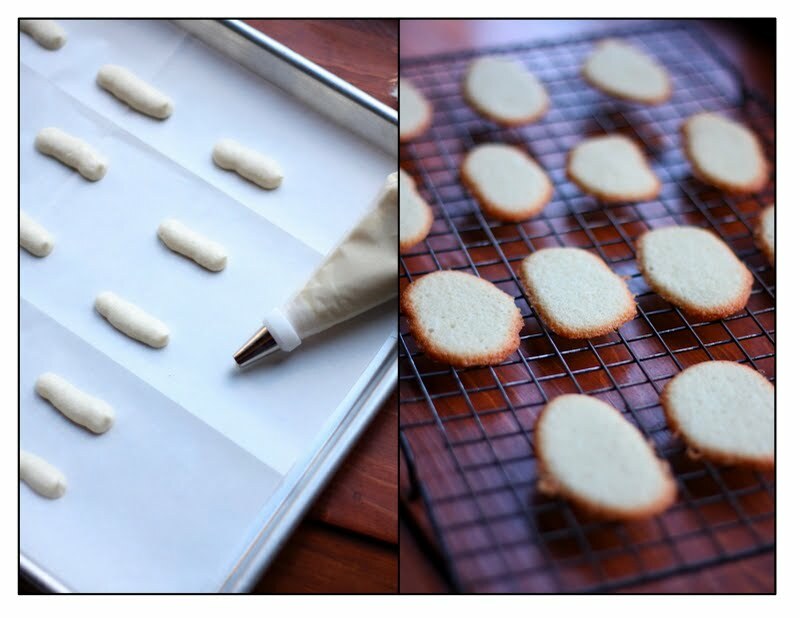 For this month's Daring Bakers Challenge, I was excited to see that we could make Milan cookies. I guess everyone is familiar with the classic Pepperidge Farm line of Milano Cookies, so these were fun to make using Gale Gand's recipe. The cookies are light and lemony with a layer of orange flavored chocolate sandwiched in between two cookies. Since the cookies have a lemon flavor to them, I thought a lemon ice cream would be nice to serve alongside. 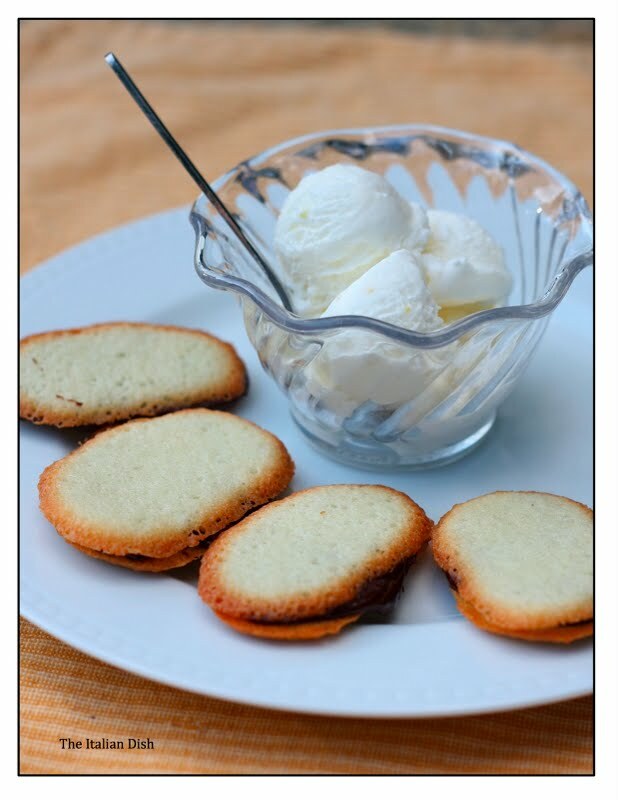 If you wanted something even lighter, you could serve the cookies with a lemon sorbet using the recipe from this post. 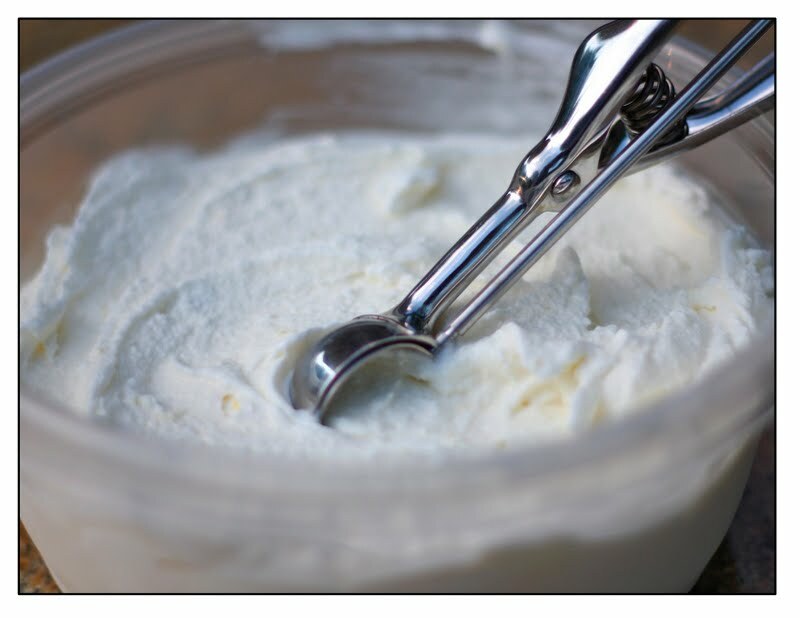 Remember when making your ice cream or sorbet, it is so easy - make the mixture in the morning, stick it in the fridge to get well chilled and when you're ready for ice cream, it only takes about 20-25 minutes in your ice cream maker. In a small saucepan, heat all ingredients over medium heat until sugar is dissolved. Transfer mixture to a 4 cup Pyrex or any other heatproof bowl and refrigerate until well chilled. Place in ice cream maker for 20-30 minutes. 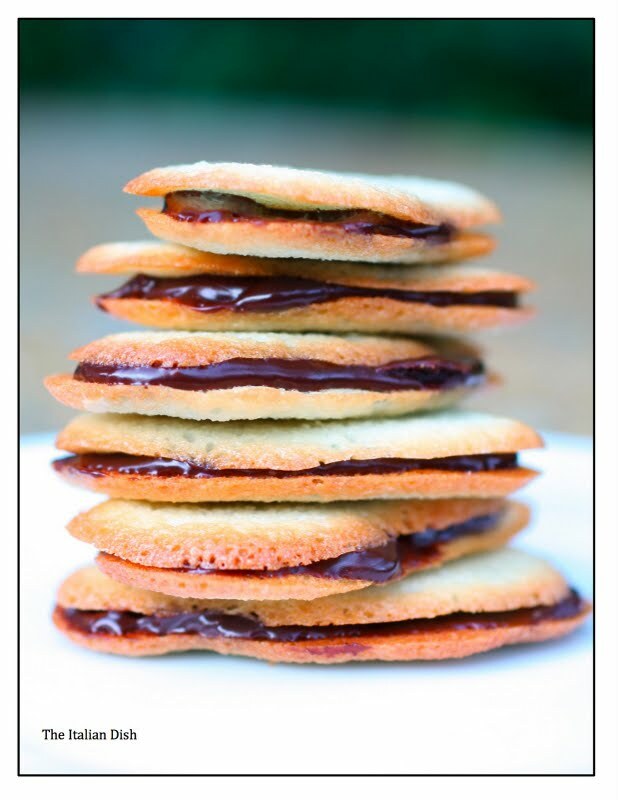 The correct name of those cookies is "Lingue di Gatto" that means "Cat's tongues"
They look wonderful. I love the idea of pairing with lemon ice cream, yum! Your milano cookies look delicious. The lemon ice cream sounds like a perfect accompaniment! On a hot day like today the lemon ice cream sounds incredible! And the cookies look great too! Lemon ice cream sounds like the perfect compliment to these cookies! They Look delicious... can't wait to try them soon..
mmm i would never think of that combo but i bet it was lovely! I love those peppridge farm milanos. They are my fav store bought cookie. Your's of course are much better. Lemon and chocolate are meant for each other. You changed your header. I like it and I love the tag line..cooking fresh...I had to come back and say that. I just told Larry last night that I think we need an ice cream machine. I'm not a big fan of ice cream, but LEMON ice cream. Oh, yeah! Cookies and ice cream look mah-velous, dahling. No more Pepperidge Farm for me :)! I love Milano's and the lemon ice cream.. perfect for these muggy days we've been seeing. Yummy, Elaine! They are absolutely delicate and beautiful! Love your lemon ice cream! My husband made the lemon ice cream for valentines day and it was delicious. Everything we have made from your blog has been. what a treat!